They’re an impressive shoe, being comfortable, supportive and offering superb power, and plenty of useful and innovative features, such as the adjustable arch insole kit. The upper’s have a combination of a leather like synthetic fabric and scuff guards for fit, protection and durability, and the stiff carbon sole has a hint of flex for walking, and it’s finished off with thick aggressive lugs for grip. The Code uses unique offset Velcro straps, and a ratchet buckle system that was the easiest I have ever used, using a downward pressure to release, instead of the usual up. First ride about 30 miles broke buckle at strap. My foot hit the hillside and broke the plastic strap which attaches at shoe. Response from Giro is pretty slow. I have the road version of these and like them although I did get some pain on the outside of my left ankle as you mentioned. They do seem like they would be hot for mountain biking here in the steamy south as there is not much ventilation. A shoe this expensive and hyped by the press should not have heel lift, and spontaneous ratchet release problems are a formula for disaster (maybe you cinched them ungodly tight, but I doubt that). 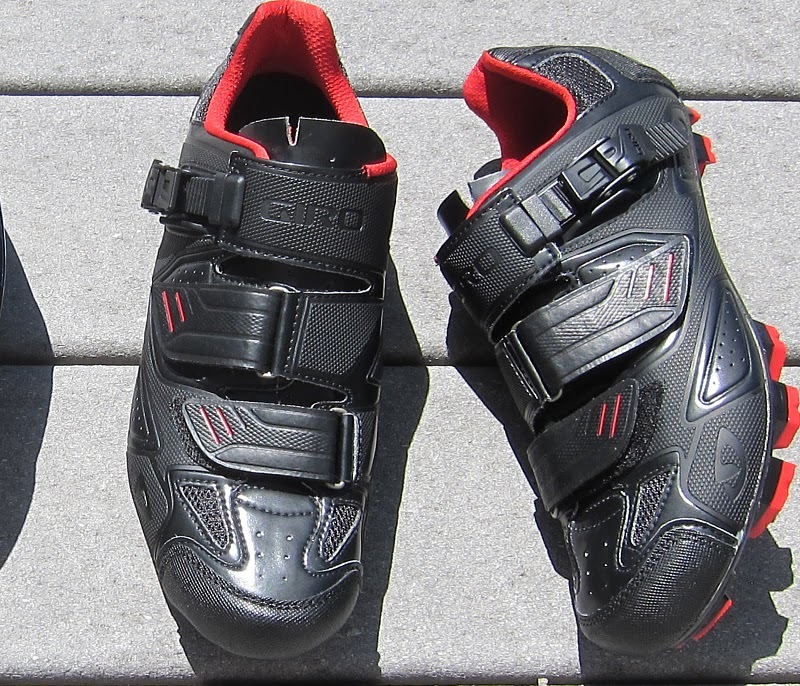 My specialized road shoes are half the cost of these, stiffer and very comfortable, and none of these glaring issues. These giros supposedly went through lots and lots of redesign and testing but I guess they released them before they were ready. I’m glad I couldn’t find any when I went mtb shoe shopping the other day.